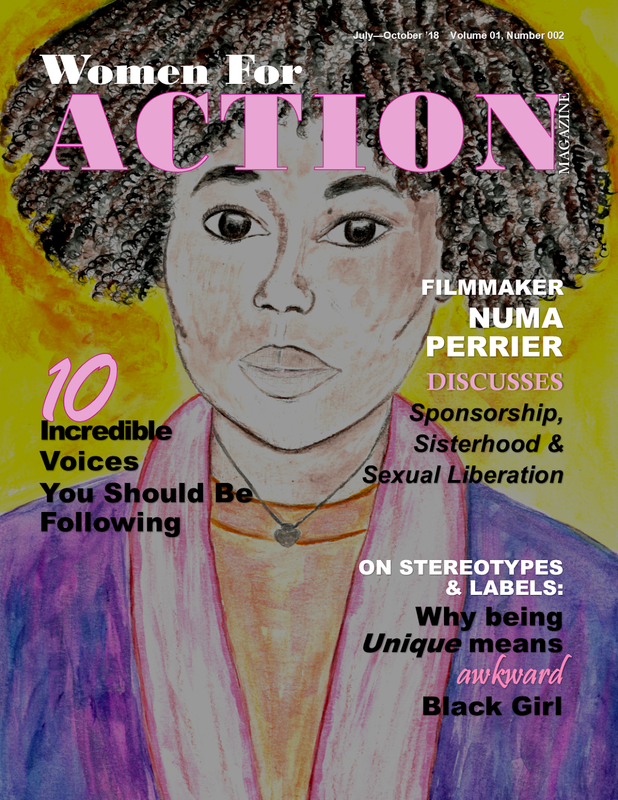 Women For Action is a 501(c)(3) multimedia women’s rights organization that features stories about the under-recognized efforts of women-firsts, award-winning subjects and other women of significance. We search for innovators and tell their stories. We champion their efforts to create a discussion and initiate a wave of action across the globe. Women and women of color lack the necessary visibility to get ahead in society. Our mission is to elevate women’s place in the world, by championing their contributions and voices through media and other initiatives and promote messages of diversity, inclusion and equity. We examine the experiences of women through an intersectional lens. Not all women have the same access to resources to get ahead. We aim to promote a more fair and equal world where women and other marginalized communities are seen and heard and have a greater advantage. There are many sources of media. Yet, Women For Action provides independent content and facilitates a platform for women by women, educates and creates awareness about important people and events of our day. The voices of women, women of color and transgender women are unique and too often not realized as both valuable and instrumental to important social, political, economic and historical conversations. 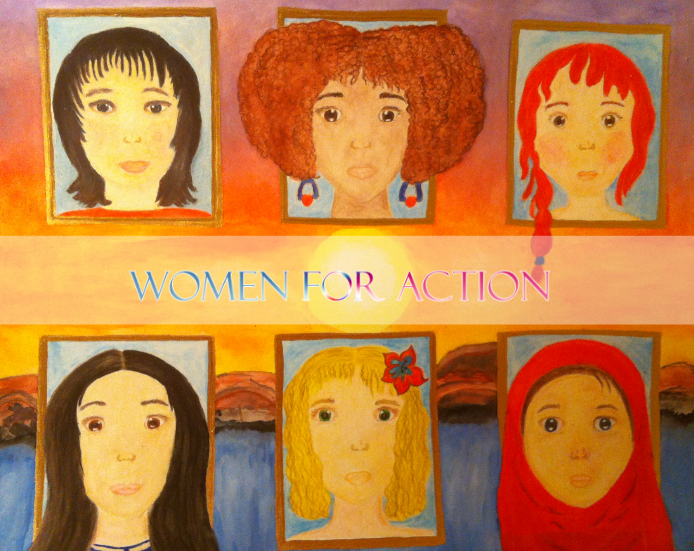 Women For Action offers spirited content built on the principles of dignity, respect, justice, and equality. 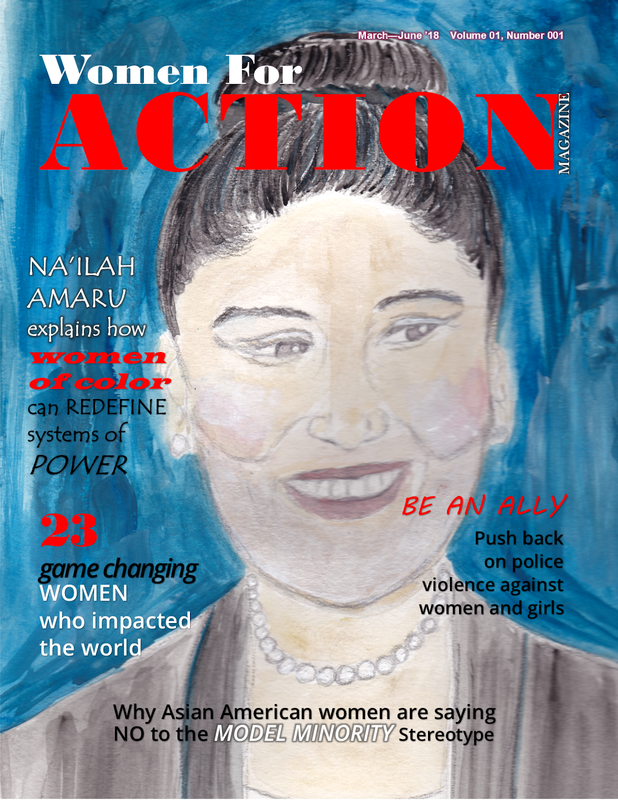 Women For Action Magazine, a publication which aims to tell the stories about women innovators in our world. 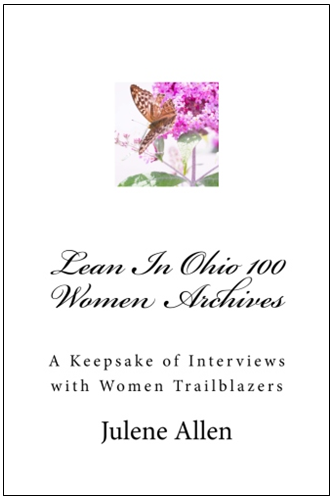 The three-volume book series, Lean In Ohio 100 Women Archives, a historical project which aims to recognize women leaders throughout the state of Ohio. The Women's History Makers Project, an educational video presentation which tributes women change-makers from different backgrounds. Women For Action creates social and political campaigns to increase the visibility of women in American history through the petition to Elevate August 26th, Women’s Equality Day to a Federal Holiday on Change.org. 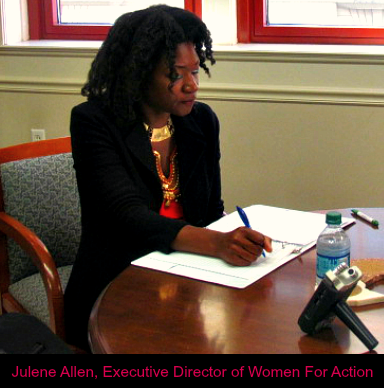 Julene Allen is Executive Director and Founder of Women For Action. She's based in Chicago, Illinois and Dayton, Ohio. She founded Women For Action based on the principle of women, especially women of color and other disadvantaged groups being greater stakeholders of social justice and political movements by lending their voices to conversations about global feminism and human rights. First starting off as a writer, and a feminist activist with a petition, Julene is a champion for equal rights, diversity and inclusion. In addition to the nonprofit organization Women For Action, Julene has founded the following programs and initiatives Women For Action Magazine, LEAN IN OHIO, LEAN IN Women of Color, the petition to Elevate Women's Equality Day to a Federal Holiday and latinasequalpayday.org. Chiara Cola is Women For Action's European Market Strategist, based in Rome, Italy. She coordinates and manages interviews with key subjects in Europe. She is a sought out digital designer and owns the brand Chiara Cola which has been acknowledged by Vogue Italy and Harper Bazaar Russia. 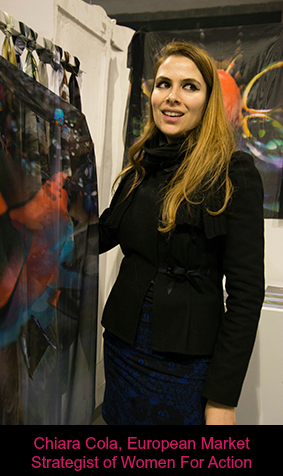 Her background in digital design, fashion and business enables her to facilitate Women For Action's relationships with creative engineers in different parts of the world. Additionally, Chiara is cofounder of Women For Action: Voices of Italy, an interview series which tell stories about women trailblazers and innovators located in Italy.